Today was the last Sunday of National Ice Cream Month, so we just had to venture out for some frozen confection. It’s be a shame if we didn’t. I know this technically isn’t ice cream, but they had Cake Batter froyo! My favorite! I haven’t been able to find it since Yum Yums moved to Wisconsin. And, fresh fruit! Whipped cream is available upon request, but it is not on the topping bars. With Lily at camp for the week, this week has been all about Navy. Tomorrow, I go pick up Lily, so Navy and I are having one last little bit of fun, just the two of us! Today, we took Lily to Girl Scout camp, so we stopped along the way to celebration National Ice Cream Day. 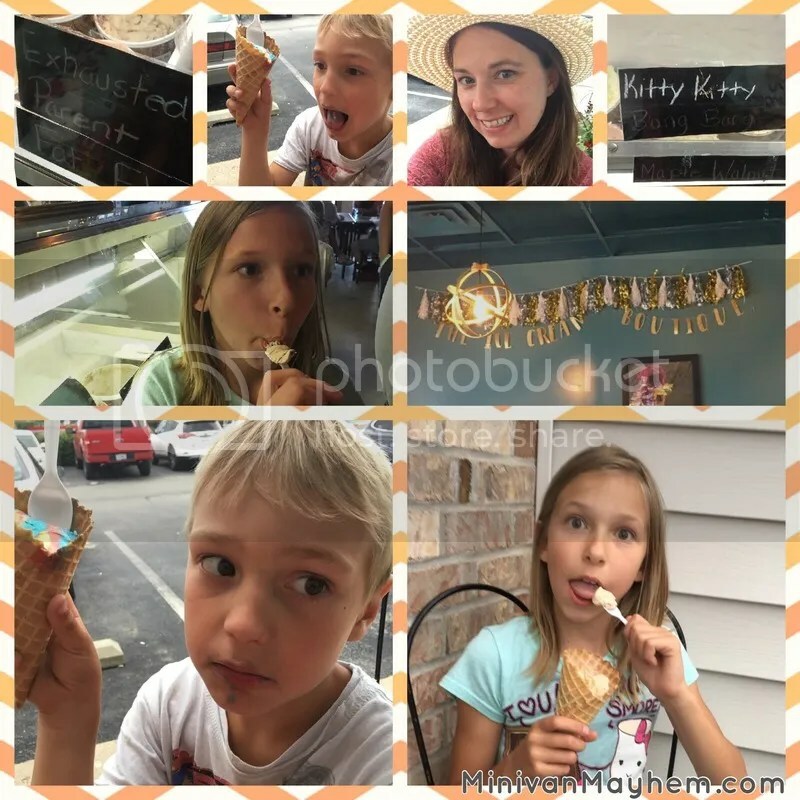 It also happens to be National Ice Cream Month! We went to yo 2 go in Columbia City. Yes, it’s frozen yogurt, and not technically ice cream, but we haven’t been here in forever! I have tried the Vanilla and Orange Sorbet. I really wish that they would have Cake Batter on my visits. Their topping selection doesn’t have all of the fresh fruits that I would like, but there are other goodies that make up for it (mini peanut butter cups, lots of different nuts, crushed Butterfingers). I love that they have higher quality spoons that we can take home and wash, as opposed to the plastic spoons that many places have. We save our spoons from each visit. The kids love using them at home. I also really love that this is a small town, family owned business. They started it due to their own son’s dairy allergy. There’s the sweet story here. Connect with yo 2 go!